*This post may contain affiliate links. Please see my Disclosure Page for details. This post was sponsored by Orkin however all opinions are my own. We are an avid traveling, hiking and camping family and though we have a very weird fascination with insects (we have a colony of Madagascar Hissing Cockroaches and collect dead insect specimens) there are few we DON'T particularly like getting bitten/stung by or bringing home with us. Last week I had the pleasure of taking a fieldtrip to the The Rollins Learning Center in Atlanta and learned some pretty awesome facts about pests from Orkin Entomologist Ron Harrison. I even had the pleasure of feeding an adult and baby bed bug...cool right? Watch the bed bug feeding video here. 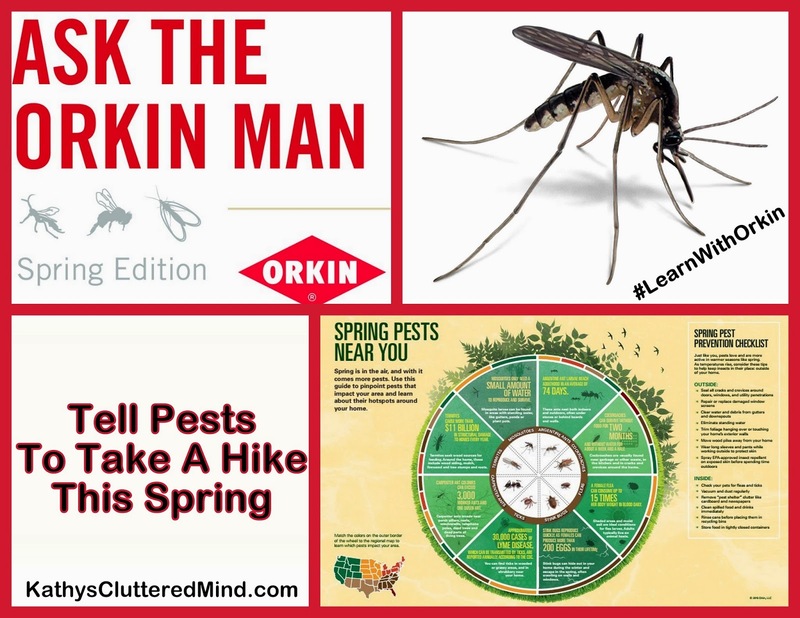 Well today I want to share with you some of the things I learned from The Orkin Man about the pests you may come in contact with and even possibly bring home with you during traveling, hiking and camping adventures. I'd also like to share some ways you can protect yourself and your family against these pests. Did you know that in 2013, more than 35,000 Americans were affected by Lyme disease, which is commonly carried by ticks (Centers for Disease Control and Prevention). While many believe ticks are only a danger in the forest, that's a myth – ticks can and do dwell around the home as well. The good news is that here in Georgia the chances of getting Lyme disease from a tick are very low. In 2013 only 8 cases were reported for Georgia. Did you know that ticks don't fly? And that they silently and painlessly bite their way into your skin where they feast on your blood? Clear overgrown shrubbery and grass to keep ticks from lingering around the home. When hiking avoid bushy areas, tall grass and hanging branches...stick to the trail (this can be hard if you are a geocaching family like us). Avoid shady, damp areas ticks really like these places. Wear light-colored long-sleeved shirts and pants to easily detect and deter ticks while outdoors. Tuck your pants into your socks. Wear a bucket hat or baseball cap. Use EPA-registered insect repellant on exposed skin near pants cuffs, shirt cuffs, collars and socks to ward off ticks. After being outdoors immediately take a shower afterwards and check for ticks. Make sure you check all your nooks and crannies, ticks love those spots. It usually takes them awhile to find a good spot and work their fangs into you so you may be able to get them off more easily before they dig in their fangs and become engorged. Wipe the area with an alcohol wipe. Grasp the tick with a sharp pointed tweezers as close as possible to the head where it is entering your skin. Pull it straight away from your skin with a slow, steady pressure. Don't yank it, twist it or rock it back and forth. If you have any concerns about the possibility of Lyme Disease, keep the tick in a film canister or between a piece of folded tape and take it to a public health lab for inspection. If the bite becomes infected, contact a medical professional immediately. Many homeowners consider ants to be one of the most serious pests. There are more than 10,000 species worldwide, and about 50 of those in the United States. Ants can infest homes by coming in through the tiniest of cracks, and controlling them is difficult because they leave an invisible pheromone trail for others to follow once they find a food source. There are three main categories of ants: nuisance, health (such as fire ants) and structural (such as carpenter ants). If you are an avid hiker or camper than you know all about fire ants. Did you know that fire ants are not a native species in North America? It was accidentally brought into the USA in the 1930s via a shipment of cargo. They have thrived due to a warm climate (especially in southern US state) and lack of predators. And did you also know that fire ants contain an alkaloid venom which they can inject multiple times? Avoid dry fields and shady areas such as woods. Watch where you step and look for large earthen mounds or trails which are especially visible after a rainfall. There can be several hundred thousand ants in these mounds. If you discover a mound rope off the area so people know to avoid it until an exterminator can treat the area. Be cautious and observant of where you sit or place items such as food, drinks, chairs, and even tents. Wear light-colored long-sleeved shirts and pants to easily detect and deter ants while outdoors. Tuck your pants into your socks. Immediately brush off any ants still on your body. Fire ants can sting multiple times. Don't use water or shake them off it only makes them angrier. Look for red bumps which will "sting" or "burn." They may look like hives. Immediately squeeze the venom out of the area you were stung/bitten. Treat the ant bites with an over-the-counter anti itch/pain product and cold compresses. As quickly as possible strip down your clothing and shake them off. It is possible ants could be hiding on your clothes. About a day after the bite any blisters that have appeared will become filled with a pus like substance. Treat these pustules with an anti itch product so you do not risk popping them open which could lead to secondary infection. If itching persists or the bites become infected, contact a medical professional immediately. Mosquitoes are more than nuisances at picnics and outings. According to the Centers for Disease Control and Prevention (CDC), some mosquitoes can transmit West Nile virus, Chikungunya virus and more. Did you know that prime mosquito-biting times are dusk and dawn? And that they only need a little bit of water to breed and survive, making them very hard to control? And did you know that only the females enjoy your blood for their meals? Mosquitoes are EVERYWHERE and when we are out on adventures these are the #1 pest we encounter. They don't bother me so much but boy do they love my husband and children who develop large welts after being bitten. Hike during the morning and early afternoon. Get off the trail before sunset to avoid the peak mosquito hours. Avoid shady, damp areas mosquitoes really like these places. Hike on open, sunny trails rather than in shady ones. Any wind will help blow the mosquitoes away, and the drier air is harder on them. Wear light-colored long-sleeved shirts and pants to easily detect and deter mosquitoes while outdoors. Tuck your pants into your socks. Use EPA-registered insect repellant on exposed skin near pants cuffs, shirt cuffs, collars and socks to ward off ticks. You can citronella wax on your skin to keep mosquitoes away. In the case of a severe reaction antihistamine and anti-inflammatory medications such as ibuprofen or naproxen can also be used. If the itching persists or the bites become infected, contact a medical professional immediately. Bed bugs are known to leave itchy welts on the skin after they feed on human blood during the night. These tiny pests are a particular concern for travelers, who are likely to pick them up at hotels, or on planes, and bring them home. 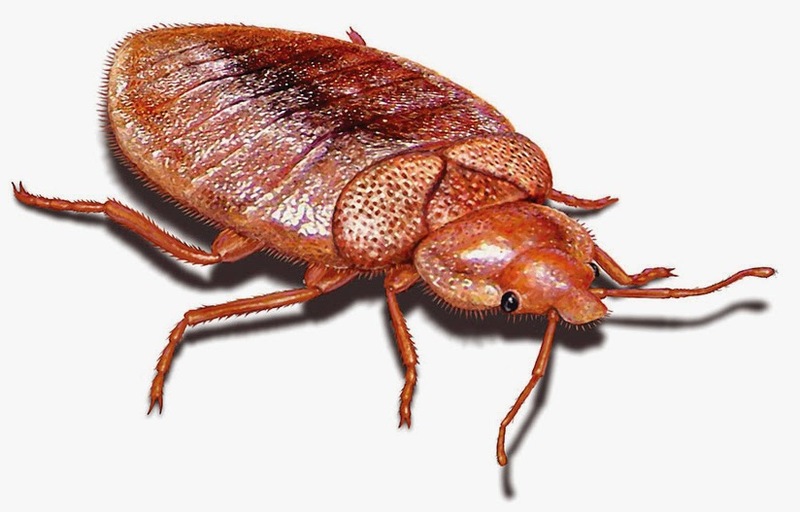 Did you know bed bugs are attracted to heat, CO2, & body odor? And did you know that bed bugs can live for up to 6 months without feeding? What about that they silently and painlessly bite you and feast on your blood? And that they do not fly or jump? SURVEY: Check for signs of infestations, such as dark brown or red spots, on hotel bedding. Bed bugs are not a sanitation issue, which means they can be found in any hotel or motel – from a one-star to five-star location. 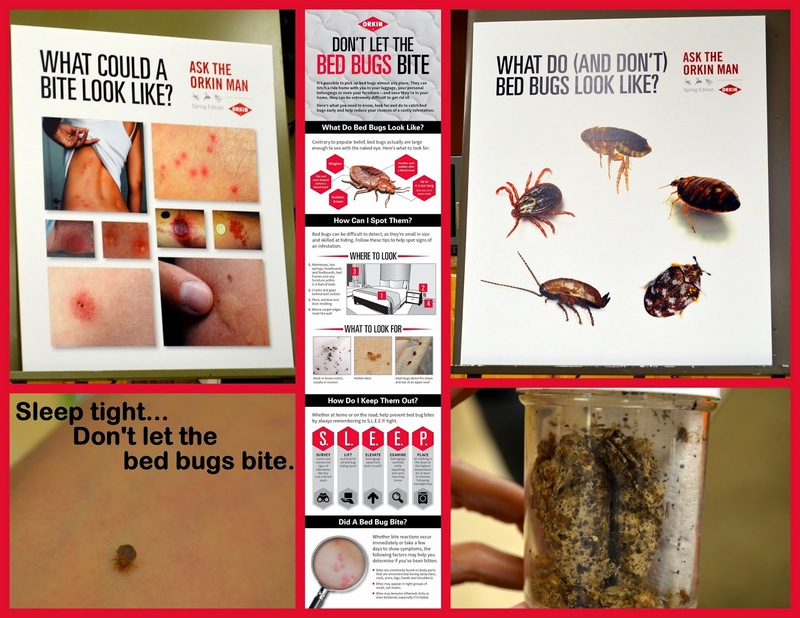 LIFT & LOOK: Bed bugs tend to settle in close proximity to their food source – you! Lift the mattress and inspect the box spring, sheets, furniture, upholstery and hollow bedposts, as well as crevices behind baseboards, pictures and even torn wallpaper. ELEVATE: Keep luggage and personal belongings off the floor and away from the bed to keep bed bugs from crawling inside. You can even put suitcases in the tub or shower of the hotel to discourage the bugs from crawling inside. It is also a good idea to put and keep your clothing in a sealed bag during your stay. EXAMINE: Bed bugs are hitchhikers, so check all luggage and clothing for bed bugs while repacking and when arriving at home. Remember you will not feel a bed bug bite you (believe me I would know, remember I fed one). The bites do not typically become visible until a day or more after the insect feeds...if at all. You may notice large welts, red marks, itching, blister-like inflammation, rash and or swelling. Bed bugs can carry diseases but there is no evidence that they can transmit the diseases to humans. Wash the bite areas with soap and water. Apply an anti-itch medicine such as Benadryl gel. Also apply a cold compress to the affected area to reduce swelling and itching. If the rash persists or the bite becomes infected, contact a medical professional immediately. That's my arm in the bottom left. And there you have it...the top 4 insects you will definitely encounter if you are an adventurous family who enjoys traveling, hiking and camping! For even more information on these bugs visit the Orkin Pest Library. Remember if you are ever concerned about insects of any kind (or even wildlife) in or around your home visit Orkin.com. 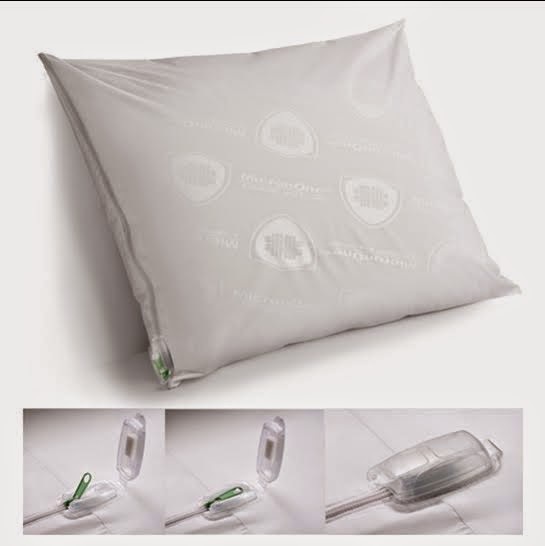 Orkin has graciously offered to giveaway an Orkin pillow encasement to one lucky reader. Only the first entry is mandatory. Other entries are optional and give you extra chances. This giveaway is not affiliated with Facebook in any way. The winner will be posted on the blog and will be emailed. Winner must reply within 48 hrs with their contact information or another winner will be chosen. Prize will be mailed via Orkin.